At the time of its release, Shot of Love received mixed reviews; Paul Nelson of Rolling Stone in particular savaged the album, though he did single out the last track, “Every Grain of Sand,” as a stand-out. Shot of Love, while reaching UK #6, continued Dylan’s US commercial decline, reaching #33 during a brief chart stay. By contrast, Bono of Irish band U2 described Shot of Love as one of his favorites, particularly due to Dylan’s singing ability. “In the Summertime” followed by “Trouble” has always been, since the record was released, a pairing that gets to me. totally agree with your choices ! Have always loved this album, far more than the previous two. Might be my favorite Bob voice. With everything going on in his life in the late 70’s I think Bob spent a lot of the eighties confused about things. This was shown by the great songs he left out. Groom wasn’t originally here and Angelina is an incredible song. He then left Blind Willie and Foot of Pride off Infidels, Series of Dreams off Oh Mercy and put the inferior cut of When the Night on Empire Burlesque. I’m not Born Again but I love Property of Jesus. It’s one of my air guitar songs and I play a wicked air guitar. 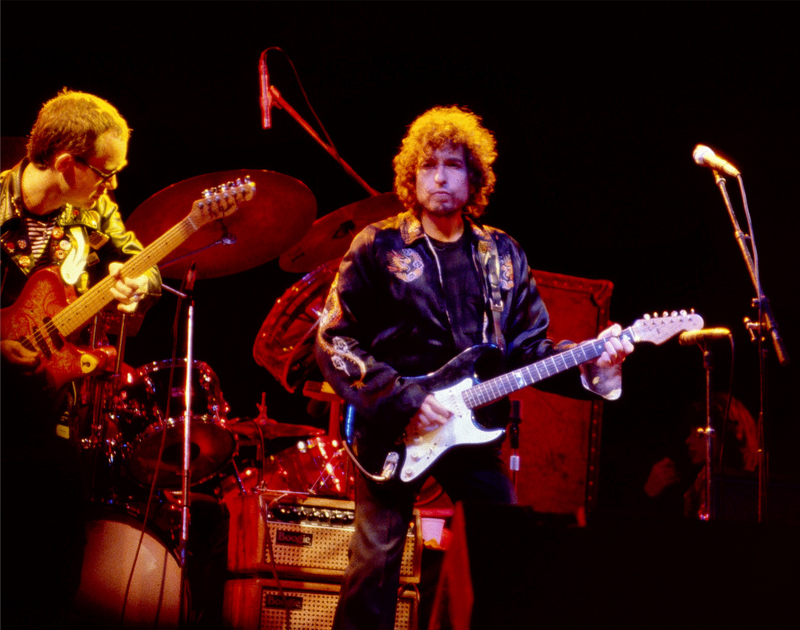 I like most critics at the time cried out “Judas” during Dylan’s Christian period. Ah, but I was so much older then….. I bought the record when it first came out, and I thought it was good. I loved all the songs, especially Heart of mine and In the summertime. In my opinion it was good, but not as great as Saved, which will always be one of my favourite records. I do like 99% of Bob Dylan records, as most of them are highly spiritual and God does speak to me through many of his songs, especially on his Street Legal and Blood on the Tracks albums. Shot of Love is a album that I listen to occasionally but do appreciate it and also the outtakes that never made it on the album. 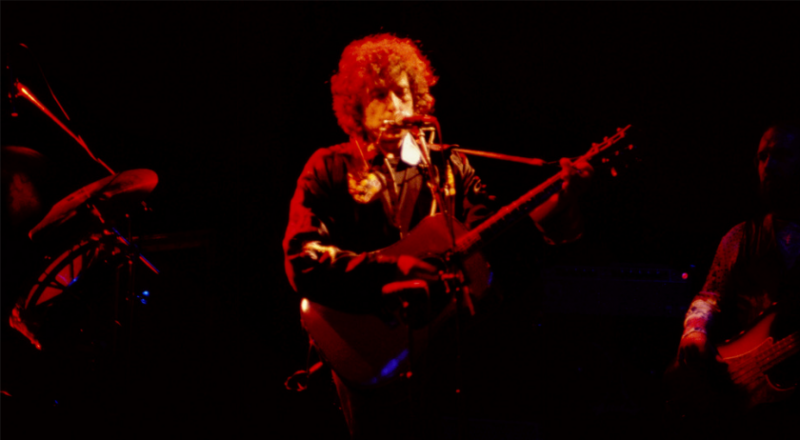 Bob is truly a communicator of inspirational comfort and musical satisfaction. In my opinion, “Every Grain” is as great a song as Dylan ever wrote and “Groom’s Still Waiting” is terrific. I think part of the problem with SOL is the production. I remember reading at the time that Dylan was shooting for a mid-60’s vibe with the sound. He seemed relatively pleased with the sound he got for SOL, but in comparison to the warmth of the production on “Slow Train Coming” and “Saved,” I think the sound of most of SOL is brittle and sterile. “Trouble” and “Property of Jesus” make Dylan sound like a cranky old man–the very opposite of “Every Grain.” And “Heart of Mine” and “Lenny Bruce” are both perfectly dreadful songs that should have been deep-sixed in favor of “Carribean Wind” and maybe “Angelina.” It is one of those Dylan albums that I rarely listen to anymore in its entirety. 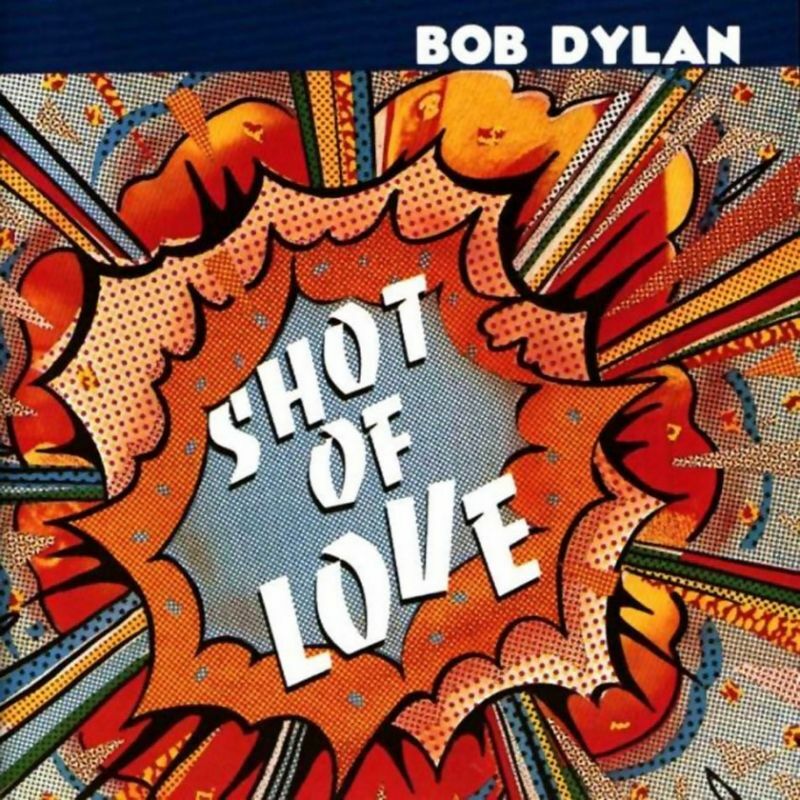 “Shot of Love” is one of favorite Dylan albums. It contains a great narrative line about the difficulties of adhering to a pure Christian faith in world dominated by the secular. At its core is a back-and-forth struggle between opposites: secular love and spiritual love, violence and peace, greed and benevolence, and so forth. Hearing the outtakes show Dylan was not off track at all in this period, just so unsure of his best material, that he left the real lyrical stuff on the floor of the studio, except for the very good Shot of Love and Grain of Sand. Had he dared to face the critics with a double album he would have been slaughtered just the same but have given us a masterpiece in the vein of Blonde on Blonde. The unjust damnation of his two gospel albums, which if made by Bob Marley in a Rasta vein would have been hailed, has hurt his judgement of his own songs… The only real bad song on this in my opinion unfinished album is the childish Watered Down Love. Thanks for interesting comments on the album, and I agree.